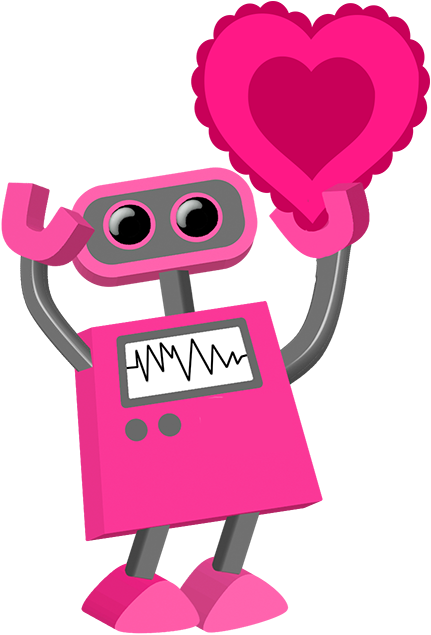 Robot 67: Be My Valentine! 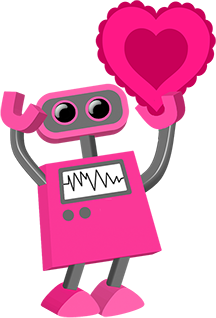 Pink robot holding a large red and pink heart. 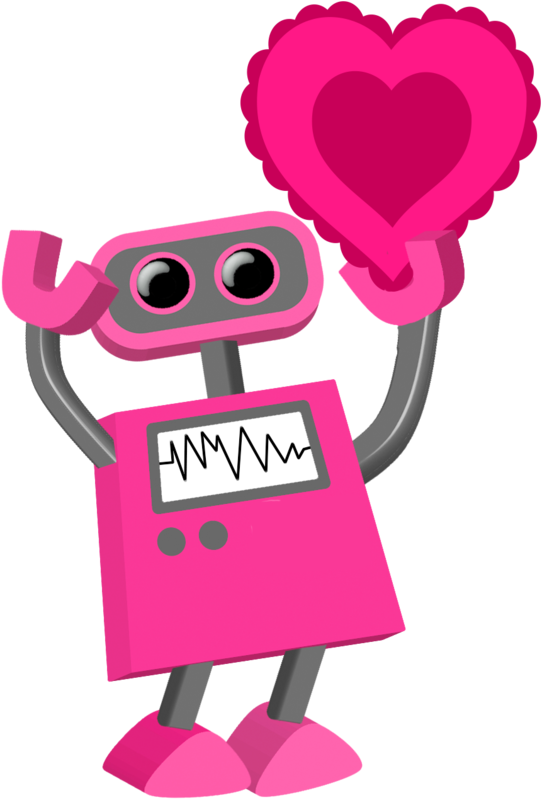 Appropriate for Valentine’s Day or any early February technology training, presentation, or workshop.